Federal prosecutors say Norte Energia, the consortium building the $11bn dam, has violated agreed-to items that are endangering locals’ means of survival. Credit: Reuters. Construction of a massive hydroelectric dam is endangering the livelihoods of at least 2,000 families in Brazil’s Amazon jungle state of Para, according to federal prosecutors who recommend that efforts to move the residents be suspended. 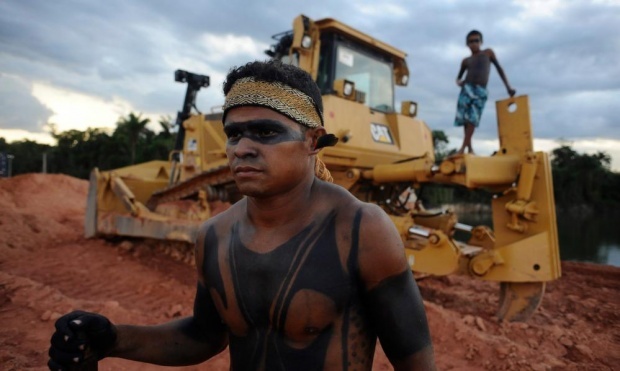 The federal prosecutors’ office said in a statement Monday that the Norte Energia consortium that is building the $11bn Belo Monte dam on the Xingu River has violated 55 previously agreed-to items to guarantee indigenous groups, farmers and fishermen their means of survival. A report based on the prosecutors’ investigation will be sent to Norte Energia. Neither Norte Energia nor the federal government had immediate comment on the prosecutors’ findings.